What's Trending? Social Media Itself! Although there is a lot of uncertainty going into 2017, one area in which analysts remain consistently bullish is the world of social media. With an astonishing percentage of young adults using Snapchat and other platforms, there's no surprise that advertisers want to capitalize upon the traffic. Although Snapchat's filters certainly cost a pretty penny for the company, the high amount of users undoubtedly makes up for it. Paid advertising has been skyrocketing within the past few years, which comes as no surprise to many marketing departments. Social media—and its legions of influencers—have changed the way the game is played. Another game changer happens to be Instagram, which has skillfully created a Stories feature that rivals Snapchat's own. Giving rise to a lot of buzz about AI—and its implications for the world of social media—these moves have grabbed the attention of many people inside and outside of the industry. With new features that can even track a social media user's mood, companies stand poised to learn more about their customers than ever before. And, when it comes to marketing, knowledge is truly power. As we move through 2017, this power will be unleashed in full force. 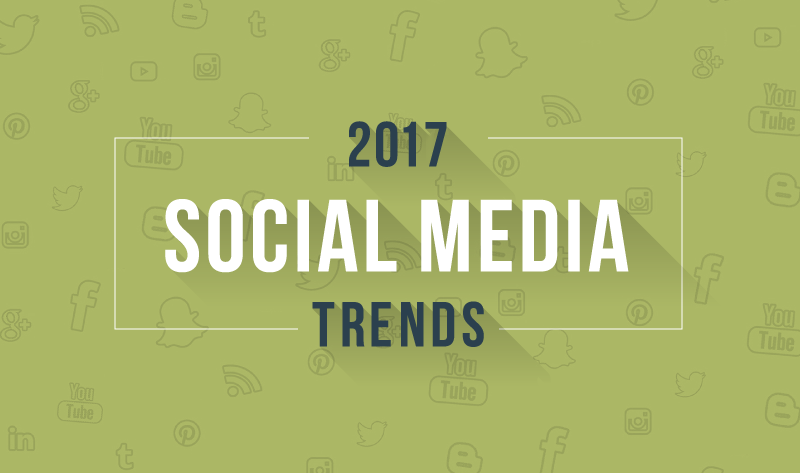 Here are six key trends, complied by sproutsocial, marketers should keep an eye on in 2017.